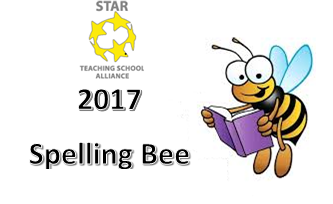 The proposed date for this year’s STAR TSA Spelling Bee is Wednesday 12th July, 10:30am at Barkston Ash RC School. In preparation of this, participating schools will be sent a list of words out at the start of the Summer term for each year group (1-6). The idea is that schools test the children before they have seen them, then give them a re-test after they have practised them and establish a year group winner. They then send a completed entry form (see below) and bring the finalists to Barkston Ash for a competition. Rules and organisation for the day are also available below.